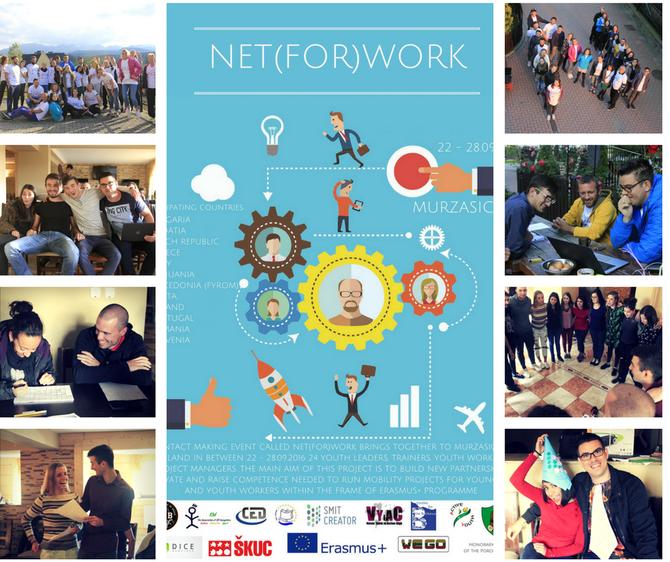 Net(for)Work - Stowarzyszenie Młodzieżowych Inicjatyw Twórczych "CREATOR"
SMIT "CREATOR" is happy to announce that our contact making event "Net(for)Work" was a great success! The project was held in Murzasichle, Poland from 22nd to 28th September 2016, and brought together 24 form Croatia, Italy, Romania, Portugal, Czech Republic, Slovenia, Macedonia, Malta, Greece, Lithuania, Bulgaria and Poland. competence were also a key point. The result of this CME are strong bonds and network between partnering countries in the field of youth within the Erasmus+ Programme. - enhance participant's competence to initiate projects on local, regional, national and international level.